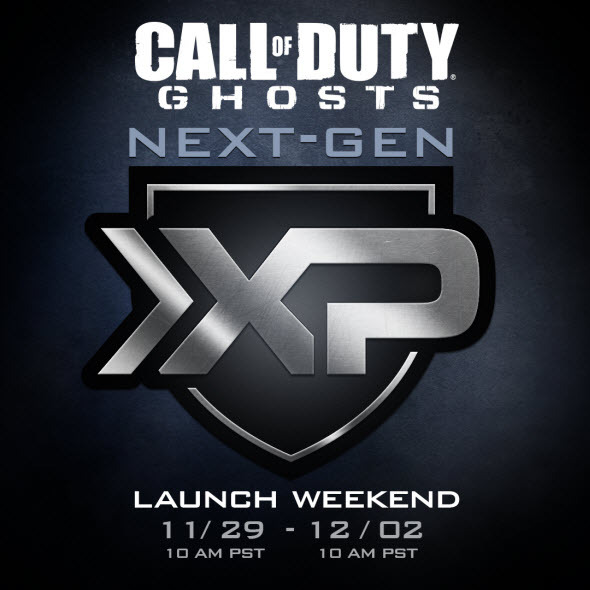 New Call of Duty: Ghosts Double XP Weekend is announced! Call of Duty: Ghosts game has already been released for many platforms, but if you a real gamer and look forward to the launch of next-gen consoles, then you know that the abovementioned shooter will be also released for Xbox One and PS4. Due to this fact, the project’s publisher - Activision company - has announced the second Call of Duty: Ghosts Double XP Weekend, which serves to celebrate the next-gen launch of the game. According to the official information, the event will be held from November 29 (Friday evening) to December 2 (Monday morning) and give you the excellent opportunity to earn double experience in the multiplayer mode. We would also like to remind you that the first such event that allowed to get doubled points in CoD: Ghosts, took place last weekend and its goal was to celebrate the project’s launch for the current generation of consoles and PC. Therefore, for those who want to upgrade to a next-generation console, Activision reminds that you can do this in several ways, which are described on the official game’s site. Call of Duty: Ghosts game was released on November 5 for PC and the current generation of consoles. Have you participated in the first Call of Duty: Ghosts Double XP Weekend? Are you interested in the second one? Your comments can be left at the bottom of the page.